What Are Some Safety Tips for Parents of Minecrafters? 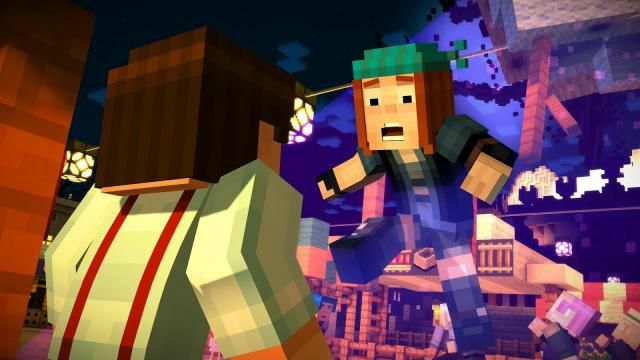 How can you make sure your kids are safe playing Minecraft? If you’re a parent of a child between the ages of around 5-13, you’re probably familiar with a game called Minecraft. It's a “sandbox” brick construction-type game available on multiple platforms, but to kids, it's more than just a video game. Minecraft lets kids flex their creative muscles by building and exploring. It also allows them to interact with others on a social level. In fact, they seem to develop a whole other language that becomes increasingly foreign-sounding to parents. Even if you have no idea what half of the things are that they're talking about, it's easy to see that they're having a good time. While Minecraft doesn't seem to be too terribly violent — save the occasional exploding sheep or pig — you shouldn't be too worried about it. However, like most parents, you probably still have a few concerns about letting your kids play Minecraft, especially since they seem to spend hours and hours in these blocky Minecraft virtual reality worlds online. As a parent, you have to wonder who your kids are playing with online, what they're doing, and if there's anything going on that you should be concerned about. The idea of "stranger danger" is often a physical, real-world type of practice, but the same concepts can be applied online as well. Make sure your Minecrafter knows that not everyone online is their friend and that even people who say they are kids might not really be kids and could be someone they shouldn’t talk to. Make sure they know that people online might try to trick them into providing personal information like their name, school name or address, where they live, and other facts about them. Scammers might also target kids to try to get them to obtain mom or dad’s credit card information, maybe with the supposed reward that they'll get something cool out of it. Talk to your kids about this type of thing and make sure that they never give out their name, email, address, school information, or anything else personal. It's also important to make sure that their online alias used in Minecraft doesn’t contain any part of their real name or even the name of the town you live in. Before you let your Minecrafter use multiplayer mode where they connect with others on the internet within the game, make sure that the device they're using has the latest security patches installed for the operating system and that everything else they're using for the game is updated, too, like the web browser and the Minecraft game itself. If your child is a moderately experienced Minecrafter and has been online for a while, chances are, they’ve discovered the world of Minecraft mods and other downloads that have been developed by Minecraft enthusiasts. The “mods” can be really cool add-on enhancements to Minecraft, allowing for all new Minecraft-related experiences for your child. Unfortunately, hackers and scammers may create malware that masquerades as Minecraft mods, and your child might download it and infect their computer with malware, spyware, ransomware, and all other kinds of bad stuff. The best way to protect your Minecrafter and your PC is to make sure your antivirus software is up to date. If you don't already have virus protection on your computer, there are lots of free ones to pick from, so you don't need to buy anything. As a second line of defense, consider running periodic scans with some spyware removal tools to help catch malware that your front line scanner might have missed. Sometimes the only way to know what is going on with your child is to observe them while they're in the Minecraft world. Pop in on them and check to see who they're chatting with. Ask them if they're talking to anyone that isn’t a real-world friend, find out what they're saying, and make sure that they aren’t chatting with random strangers. Most Minecraft servers have a public chat function that is seen by everyone on the server. This is initiated when a user presses the T key. Some servers allow for private user-to-user messages but not all servers do, and you can't tell if they do unless you view the list of available server commands (by pressing the / key). If your kids want to talk to their friends while on Minecraft servers, it might be best to have them use Skype or some other private chat room platform and require them to allow you to approve all friend-adds to ensure that they are only talking to friends you approve of and not random strangers. If your kids are like most, they're probably glued to YouTube for hours a day, and there's a ton of Minecraft-related content on YouTube. Some of the YouTubers that produce Minecraft content are conscious of the fact that their audience may be made up largely of kids aged 6-12 and they will try to keep the language and content at an age-appropriate level. Unfortunately, there are a bunch of other YouTubers that just don’t care who’s listening and will drop f-bomb after f-bomb, causing parents to cringe and run into their kid's rooms looking for the mute button. I haven't seen a definitive list of "family friendly" Minecraft YouTubers but I did some research and found some names that seem to be on the clean side. LDShadowLady, IHasCupquake, SmallishBeans, Aphmau, Stampylonghead, and Paulsoaresjr are some of the cleaner YouTubers that feature Minecraft-related content. Other than telling your kids which ones to watch and which ones to avoid, your other option is to turn on YouTube Parental Controls. Some inappropriate content could still reach your child but at least it's better than no content filtering at all. Minecraft is More Fun With Mods, But How Do You Tell if a Mod is Safe? Why Is Minecraft So Important?